The Business House Junior Common Room (BHJCR) is the representation of students – undergraduates and postgraduates (MBA and MPhil) and has contributed immensely towards the high soaring image of the University of Ghana Business School which in itself has produced highly exceptional and dynamic individuals who have proven great in various fields of professional endeavor, business and beyond since its inception. The Business House Junior Common Room is the student’s functional body and establishes cordial relation between the school’s management and members of the Junior Common Room and the corporate world. The JCR represent the 1800 students within the institution. The BHJCR is headed by an executive body which is made up of a highly motivated selfless an competent president, a vice president, a secretary, treasurer and organizing secretary who are equally competent and up to task. The BHJCR executive body at regular times organizes corporate and educational seminars conferences and workshops to equip jcr members with extra curricular syllabi knowledge giving them the opportunity to explore all areas of knowledge acquisition, thus making them well prepared for the corporate market. Institution and businesses from the corporate world realizing the enormous contributions members can make towards the accomplishment of their goals organize job recruitment sessions for jcr members to participate and join their work force. Our students are found and employed in highly recognized institutions in the country, be it in the private or the public sector of Ghana as a country and beyond. Reputable institutions in the mining, manufacturing, financial and marketing sectors in have all benefited immensely from the quality and caliber of students churned out as JCR members within the university of Ghana business school. It is hereby very pertinent to state that management of the university of ghana business school have played a very vital role in unearthing potentials, talents and ideas of members of the jcr which has helped in reaching such heights. 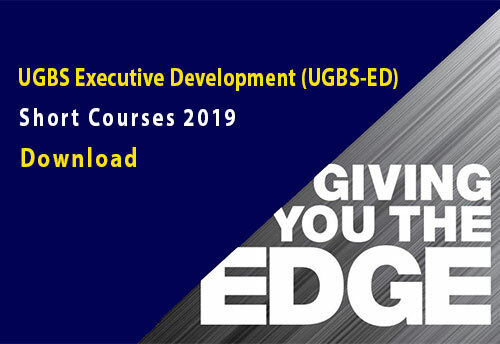 The UGBS is considered as one of the most respected and reputable institutions in the university of ghana environment and the nation at large. This hallmark which could not have been achieved without the relentless contributions of the bhjcr. The General Assembly: made up of committees that ensure the smooth functioning of the Junior Common Room. The JCR periodically organizes training programs and workshops to provide adequate skills for the members of the Junior Common Room. Some of these programs include: Annual management week celebrations which provide the platform for seasoned entrepreneurs within and without the shores of Ghana to meet with students and dialogue on relative entrepreneurial issues and industry related issues. This ensures that the gap between the academia and the corporate is bridged. Periodic corporate tours and training workshops. These programs help students brand themselves individually for the corporate world. Training models are normally on communication skills aptitude tests, and presentation skills. The JCR also organizes periodic interactions with other business institutions on relevant issues pertaining to the Ghanaian market and even beyond. Currently there is a debate on cyber fraud and the effects on business; the contribution of the student entrepreneur, sponsored by the PearlRichards Foundation (www.pearlrichards.org), VIVA Africa Multimedia (www.vivaafrica.tv), and other accredited international organizations. There is also a reality show- the Executive, which is ongoing, and can be viewed on www.vivaafrica.tv.